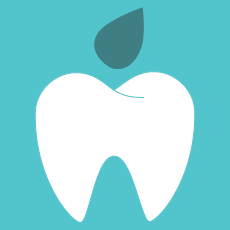 At our practice we offer gentle, friendly NHS and private dental treatment for patients in Coventry and Kettering. Our entire list of treatments is available for private patients, however NHS treatment options are available to specific groups of patients only. Our team will be able to confirm whether you are eligible for registration within the NHS at Dental Perfection. For NHS patients, registration will automatically lapse after 15 months, if you have not visited the practice for a check up. Private dental treatments at our practices in Coventry and Kettering is available to everyone. Our private patients will receive a full breakdown of the estimated fees and timescales associated with their chosen treatment. We will always take the time to listen to you, to explain the treatment and answer your questions. We will use the highest quality biocompatible dental materials, which may not be available on the NHS. When it comes to payment, private patients may pay per treatment, or join a monthly payment plan, such as Practice Plan. We also offer private patients a 0% interest free credit scheme for some treatments, speak to the team to find out more.